Private and public institutions of higher education may have learning at center stage, but behind the scenes, they still need to run as a business. That means purchasing and paying for goods and services used by faculty and staff throughout the institution. But multiple locations, campuses, and purchasers can make these tasks more complex, time consuming, and costly. 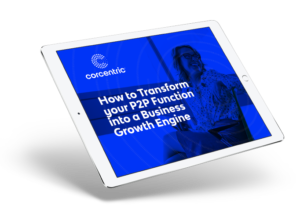 Corcentric’s tech-driven procurement and financial processing solutions help these valued institutions spend wisely and increase working capital and cash flow by optimizing procurement and accounts payable processes. Automate the last step in the transaction process by transmitting payments electronically to help reduce costs, increase compliance, and improve supplier relationships. Reduce costs, increase visibility, and streamline invoice approvals with straight-through processing. Our P2P automation solution will show you the way. Take control of your indirect spend with stronger purchasing power and smarter spend management. Corcentric’s indirect spend program tracks purchases, ensures pricing, and simplifies processes. Connect with one of our solutions experts who will help you start optimizing how your business purchases, pays, and gets paid. A member of our support team will be in touch with you shortly.